he iPhone XR is one of the hottest new additions to the Apple family. This cool entry to the family first became available in October of 2018, and has been loved ever since. With a 6.1” LCD screen and glass back, you’re going to be handling this baby with kid gloves unless you’ve got a bit of protection. We don’t mean the kind you slip in your wallet. We’re talking about iPhone XR cases for that beautiful phone. If you’re prone to fumbling with your phone, you’ll know the sinking feeling when it hits the ground. It doesn’t take much to crack that fragile surface. It leaves you staring at a shattered screen and a phone that’s battered and bruised. Ouch! Your iPhone XR deserves more than that. It’s a high-class cell phone; one that deserves a bit of respect. This is no cheap piece of plastic, oh no! Our Apple is a sleek paragon of beauty and it’s down to you to make sure it stays that way. Never fear, it’s not as hard as it sounds. At Men’s Gear, we’re happy to help. We’ve stepped up and reviewed the very best iPhone XR cases on the market and found 20 that’ll work well for you. 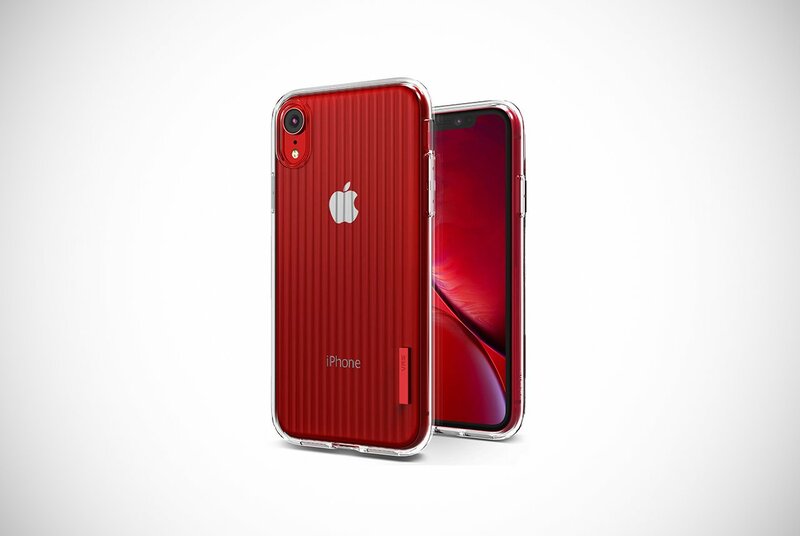 What are the main things to consider when buying an iPhone XR case? Your iPhone XR is gorgeous, simply gorgeous. It almost seems a shame to hide it away in a case, right? However, reluctant you might be to shroud your phone in a case, it’s crazy to consider going without. Your case will offer your cell phone all the protection it needs, giving you the confidence to whip it out and use it. Not all phone cases are the same and some offer more protection than others. While we never recommend bouncing your iPhone around in lieu of a ball, if you’re likely to be in rougher terrain it’s an idea to look for a more robust cover. Some cases are deliberately designed to absorb more of a shock and offer a greater degree of protection than a flimsier style. While we’re speaking about style, looks matter. The appearance of your phone case should be snazzy and make you proud to pull it out. Protection may be an essential element but the aesthetics are just as important. If the case is so ugly you have to hide in a corner to take a selfie, it’s time to find a different design. The last main factor to think about is the overall shape. Perhaps you like a funky flip open case? Maybe you like the simplicity of a hard plastic shell? 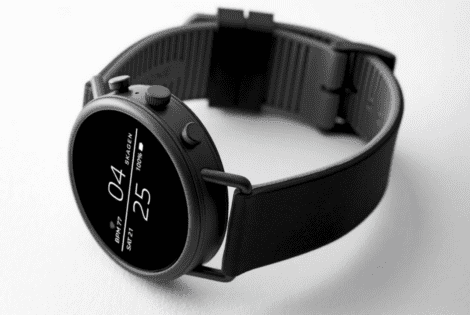 There’s charging to consider as well, so do you need a design that’s compatible with wireless charging? Whatever priorities are the most important to you personally, you’ll find one of the cases below will tick all the boxes. What materials are most iPhone XR cases made from? You’ll find there’s a big difference in the materials each of the iPhone XR cases is made from. 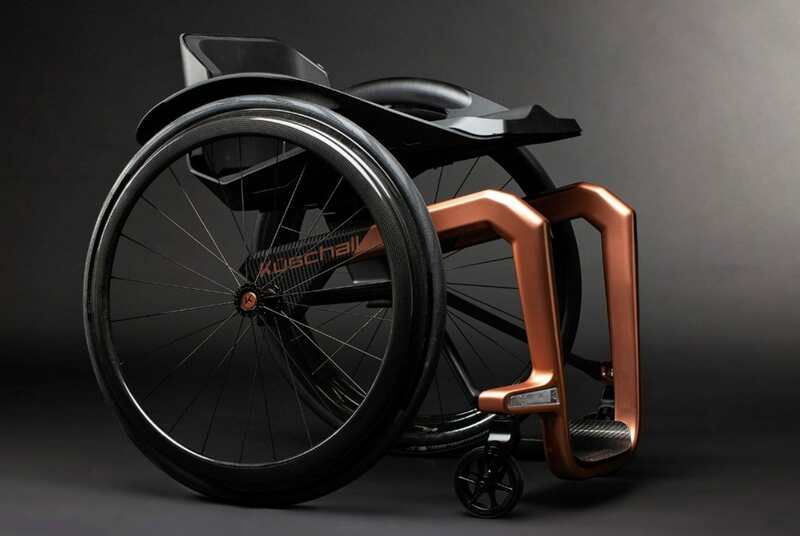 Again, some prioritize looking amazing while others put practicality at the top of the list. If you want a case which is as tough as angry Dwayne “The Rock” Johnson then look for one that’s made from polycarbonate. There’s a good selection of these but they tend to be functional rather than the best looking. Tough and robust, polycarbonate does the best possible job of sheltering the more delicate parts of your phone. Flip-style cases aren’t as strong as polycarbonate but what they lack in strength they more than makes up for in style. Typically made from leather or faux leather, these types of cases are best at guarding against accidental scratches and scrapes rather than surviving an apocalypse. So without further ado, let’s get on with introducing the top 20 iPhone XR cases on the market today. Starting off with a bang, the Spigen Crystal Clear is a great phone case if you want to keep your original look. Slimline, transparent and made from TPU, this case simply clips to the back of your iPhone with no need to remove any of the existing pieces. The crystal clear design means that once it’s in place you’ll barely know that it’s there, providing subtle strength and protection. You won’t need to spend hours tussling to get the case on either as it’s flexible and easy to manipulate. A great budget buys, these iPhone XR cases won’t break the bank. However, they still offer intelligent features such as anti-slip technology and reinforced buttons. It’s also compatible with wireless charging. Perfect for low-level protection that doesn’t interfere with the sleek styling of the handset from Apple. If you love the look of leather but prefer to steer clear of animal products, this is the case for you. Completely vegan-friendly, VRS has created these stylish iPhone XR cases. They’re not just kind to our four-legged friends, but also strong and attractive too. Wowsers! Shock absorbing materials combine with clever design features such as a raised bezel to give your screen that little extra protection. The faux leather look is slimline and elegant, with a smooth back featuring stitching and a waved texture. This finish is also resistant to smudges and fingerprints too, a great that keeps it looking good. 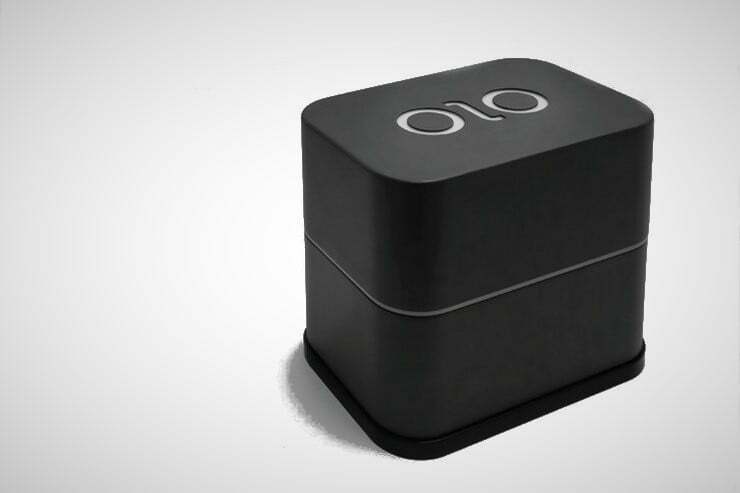 Don’t be fooled by the innocent-looking nature of this case – it’s a serious bit of strength. Transparent to protect the natural good looks of your iPhone, this case is deceptively strong and tough. The clever guys over at Caseology have talked to their followers to find out what people want in a phone case and this design is the result. It simply clips into position, offering protection without detracting from the Apple design. However, this is one beast of a case, having been made to military grade. The heavy-duty design means it can withstand drops from up to 16 feet, shrugging them off without a scratch. Although, we don’t recommend you try to check this claim – just take their word for it! 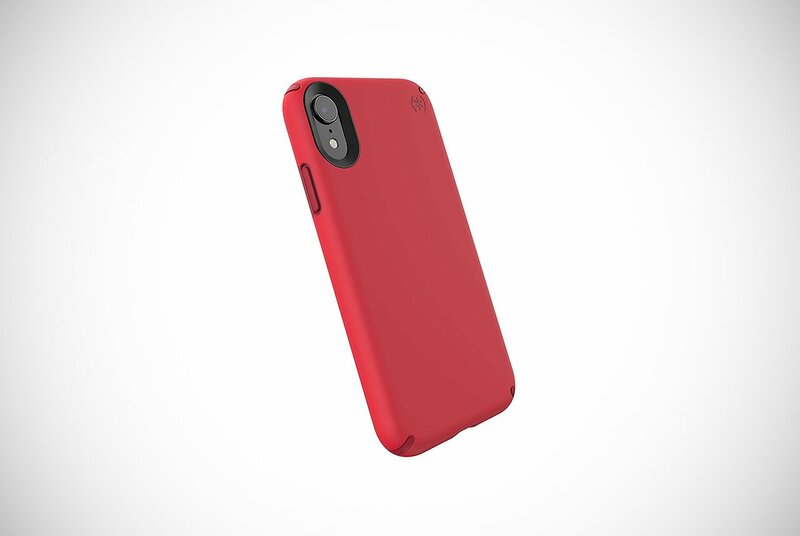 Despite being surprisingly strong, these iPhone XR cases won’t add bulk to your pocket. The design is precise and fits the phone to perfection. Even including cutouts in exactly the right place and no annoying overlaps. Caseology have ensured this case is compatible with the latest wireless charging technology and also works with screen protectors too. Easy on the bank balance, this is a high-grade case which is quite simply hard to fault. If you want a case that’s invisible, this clever design by ESR is about as close as you’re ever going to get. Only 1mm thick, it’s transparent and almost impossible to see, instead showcasing the style of the Apple iPhone. 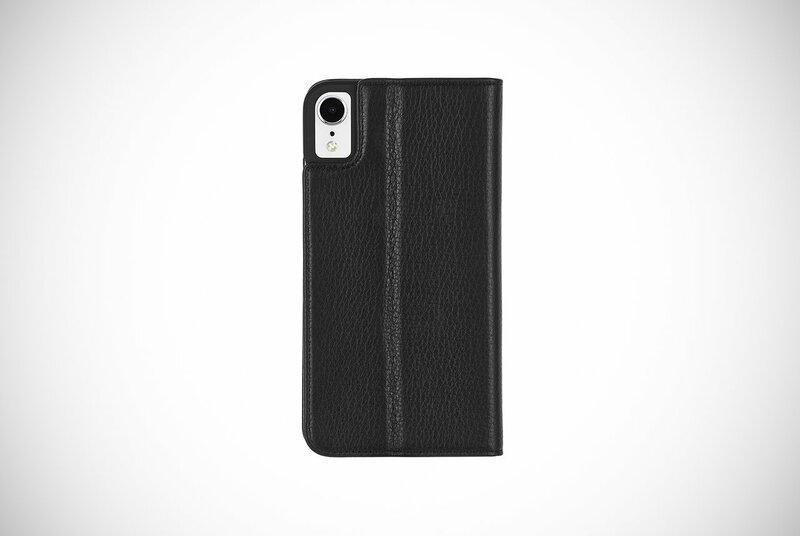 Your iPhone will almost be purring with pleasure as it slips into this case. It’s designed to cling from top to bottom with sharp cut-outs in all the right places. However, it manages to avoid the nasty “wet look” that some transparent cases end up with courtesy of a micro-dot pattern. Once in place, there’s practically no extra bulk whatsoever, and the light weight of this case means you’ll barely notice it’s there. However, if you’re wondering now whether it’s worth shelling out for such flimsy protection, think again! Although it’s admittedly very light and flexible, it also offers an excellent degree of protection. The soft TPU back is superior to harder cases. When protecting the glass casing is has intelligent design features such as raised lips around the camera and the edge of the case. This protects the phone’s vulnerable spots from chafing and guards against wear and tear. Another budget buy that doesn’t cost a fortune, ESR has created a phone case that will win over a lot of customers. 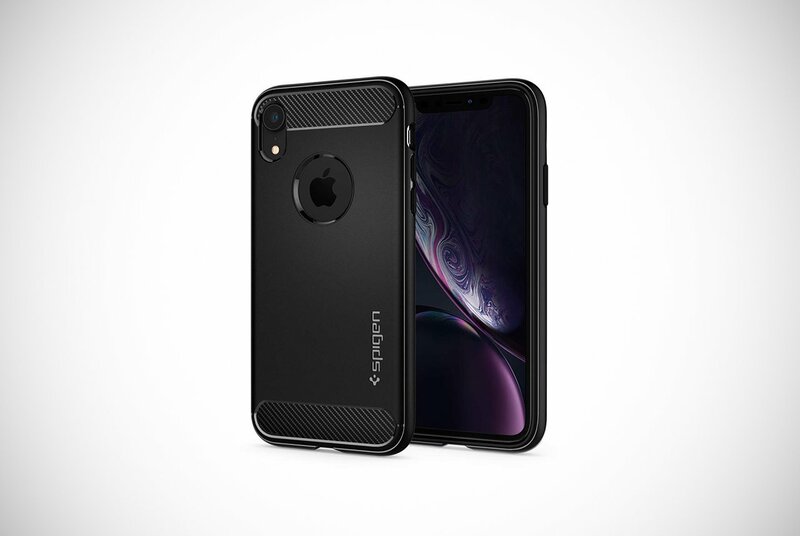 Truly, these iPhone XR cases are spectacular for the price and for the protection they provide. If you want a phone case that is tough, robust and masculine, this offering from Supcase fits the bill. There’s no doubting exactly what’s on offer here with a case that promises to provide protection and doesn’t mess around. Despite the somewhat dubious-sounding Unicorn title, these iPhone XR cases are built for the boys. Made from tough TPU and polycarbonate, it provides protection without being too cumbersome. The strength and ability to absorb impact are some of the biggest selling points for this phone case. Truly, this bad boy exceeds military shock standards. The back is transparent and you’ll have the choice of three colors for the edging. It’s not the most unobtrusive design but it’s attractive and complements the style of the iPhone. The cutouts are exactly where they need to be and the cover is scratch-resistant, guarding against everyday wear and tear. Extra protection is provided around the edges and camera lens to prevent contact with other surfaces. The trademark Air Cushion Technology® absorbs shock, protecting against damage without looking or feeling too bulky. The frame is made from TPU with the reverse manufactured from polycarbonate. Coupled with a tough tempered glass screen protector and you’ve got multi-layer protection that puts some other phone cases in the shade. The raised bezels around the camera lens and edges make sure there’s no unintentional contact with flat surfaces to cause bumps and scrapes while the cutouts are well-positioned. The buttons are easy to find with your fingers and respond well to the close-fitting case. 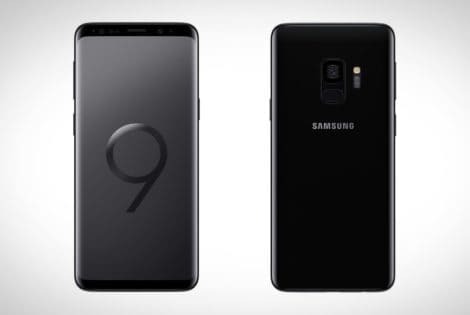 A touch more expensive than others on the list so far, but factor in the extra protection for the screen and it’s a price that’s well worth the extra dollars. It’s pretty easy to prove to your friends that these iPhone XR cases are some of the best you can find. The question is, do you believe it’s best for your phone? For a case that feels as good as it looks, check out this little beauty from Torras. Part of the Love Series collection, the liquid silicon exterior is almost impossible to stop stroking. Despite being smooth to the touch, the silicon provides an anti-slip resistance. This means it’s less likely to slide out of your pocket compared to cases with a shinier surface. Exceedingly simple to fit, this flexible case glides into position with microfiber grips on the interior which hold it in position. This holds the corners snugly, preventing any ugly gaping around the edges and creating a slimline silhouette. These iPhone XR cases don’t provide as much protection as other shock-absorbing designs. That said, it’s not ideal for situations where it’s likely to sustain more knocks and falls. However, for everyday use, it’s got lots of clever touches such as the easy-clean surface and raised bezels around the edges and camera lens. It’s slightly more expensive than other cases we’ve listed so far and it’s not easy to see what extra you’ll get. However, with a choice of colors, it’s an attractive case that works well for low impact protection. Hold your horses as we’re rolling out the big guns now with this seriously impressive bit of kit from Otterbox. Most know by now that there is nothing truly simple about these iPhone XR cases, despite how may appear. Part of the Defender Series, this iPhone XR case comes roaring out the blocks, ready to take on the world and up for an adventure. If you want a phone case that’s multi-functional and tough, this is the one for you. This edition doesn’t have a screen protector which is the only real chink in its armor as otherwise it’s fully kitted out for you to work and play hard. A tough internal shell combines with a sturdy exterior cover, creating a partnership which works hard to protect your phone, whatever you throw at it. Rugged and ready for action, this is the phone case for the man who doesn’t like to sit still. Port covers provide additional protection from dirt and grime. Meanwhile, a belt-clip holster doubles up as a kickstand, offering hands-free viewing for media whenever you need it. Legendary protection for the iPhone in your life, proving that there really is a phone case for everyone! Fans of the flip design will be delighted to see the first entry on our list for this style of case. Not offering the same shock-absorbing qualities as clip-on frames, flip cases are infinitely more stylish. Offered in four sophisticated colors, this flip case is simple and elegant, with a design that’s minimalist. Stitching around the edge and a single ridged panel are all the decoration that’s needed in a case where the focus is on the phone. 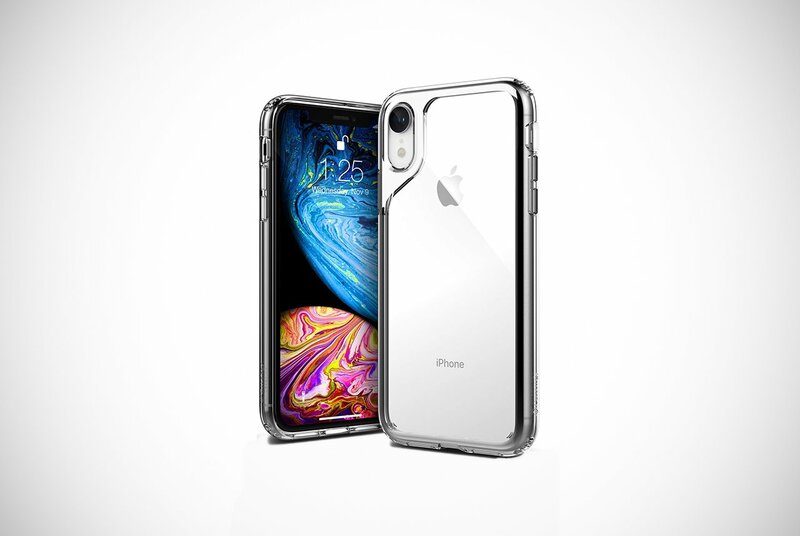 While these iPhone XR cases are not always the most popular option for people, they are one of the best cases you’ll find. That is mostly due to doing what they are supposed to do, being great at protecting your iPhone. Manufactured from transparent TPU and PU leather, this wallet style flip case has magnetic closures for extra security. Card slots on the interior and the ability to move into a kickstand position provide extra benefits for hands-free media streaming. This is an excellent budget purchase for anyone who doesn’t require high impact protection and prefers the flip case style. It’s time to get naked! Whoa there….we mean the phone! 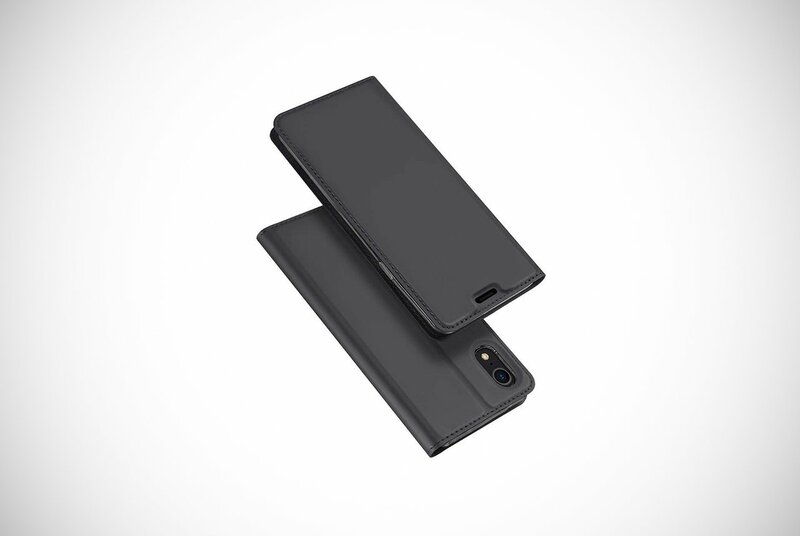 Tozo has created what they believe is the thinnest phone cover in the world, describing it as “Thin Like Naked”. 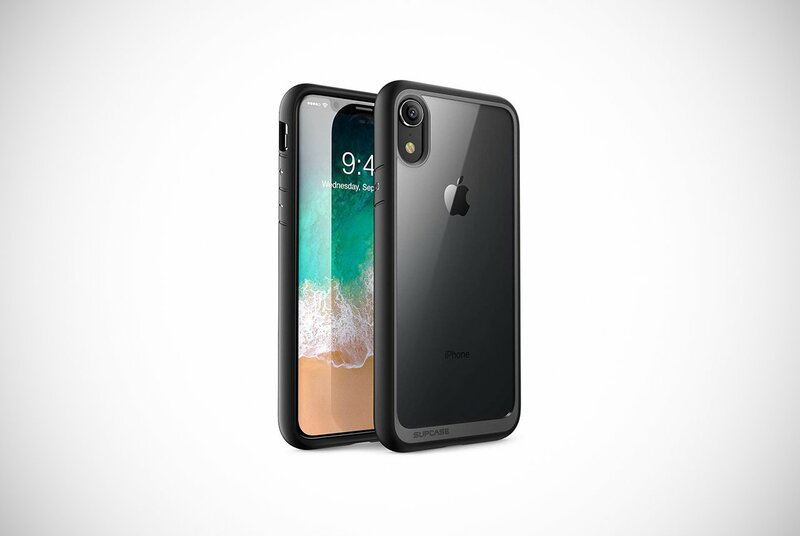 Your phone will feel bare to the world while secretly enjoying the best of protection with this iPhone XR case that’s surprisingly strong. These certainly are strange iPhone XR cases to show off to your friends. You might have a hard job convincing them that it’s there. Once in place, it really is that hard to detect – and no, we don’t need glasses! At just 0.35mm, it’s a ridiculously thin case that has been deliberately designed to put all the focus on the phone itself. This is rather than a plastic case. We can’t really argue with that! A matte finish reduces smudges from fingertips and offers anti-glare protection. A raised bezel around the camera provides protection from bumps and scratches on flat surfaces. Meanwhile, the precision design offers an exact fit around the ports. One cannot argue its protection value for its small and thin nature, plus it works incredibly well. 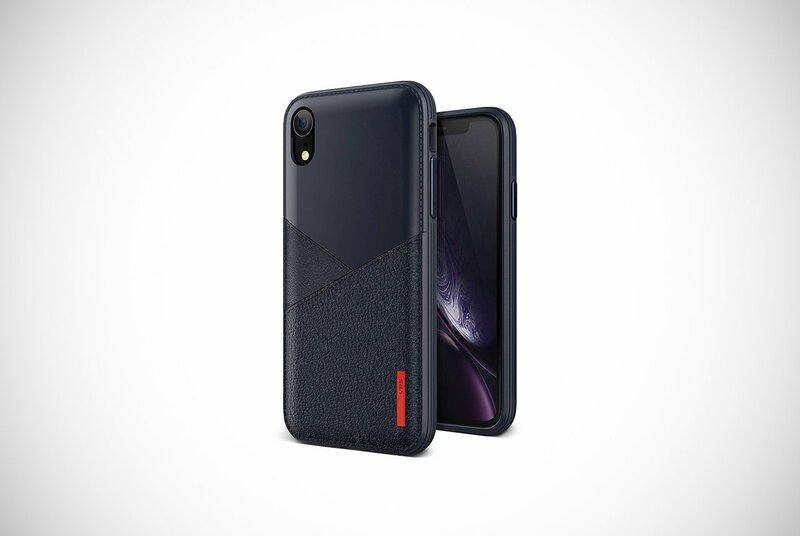 VRS yet again brings it with these tremendous iPhone XR cases. It might not be quite as thin as the Tozo case, but it’s not far away! Another very thin phone case, VRS have created a bendy and flexible design which is easy to slip onto the back of your phone. Unlike other phone cases, it’s not intended to be as invisible as possible. This case features a ridged wave texture that is accented by a cool red label. The end result is subtle yet stylish, giving the best of both worlds. The TPU construction provides excellent protection against scratches and scrapes as well as low impact bumps. It won’t protect against high impact drops, but that’s pretty standard for this type of case. The rear is resistant to all those annoying smudges and dirt from fingertips, and it’s also scratch-resistant too. Precision engineering means the snug fit has the holes in all the right places for ports and buttons. Meaning you can use the phone just like normal. A good price for a sporty and contemporary design, this is a transparent case that we like. A lot. 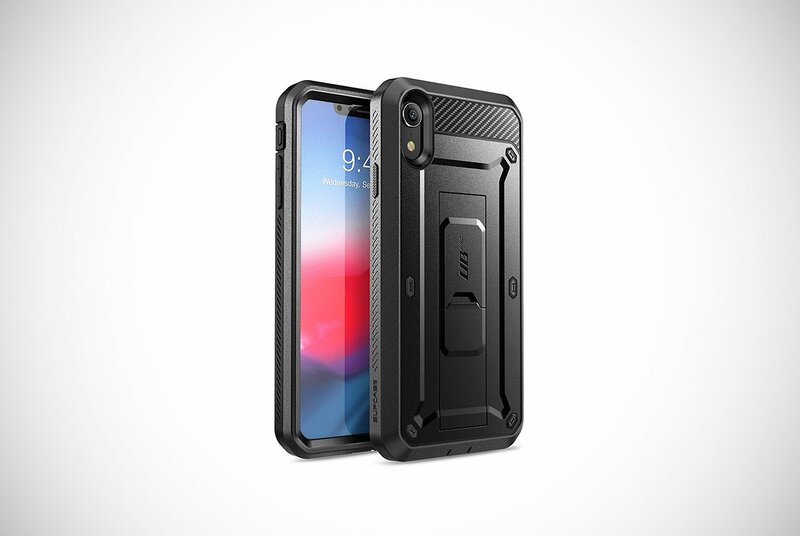 Get ready to take on the world with these heavy-duty iPhone XR cases from Ringke. Seriously strong, and with a surprisingly slimline design, this is a robust phone case that won’t let you down when the going gets tough. Available in black or purple TPU, this case is flexible and easily stretches into position, providing a snug and comfortable fit. However, don’t let the bendiness of the case fool you as its outer layer is sturdy and a real shock absorber, surpassing military standards. This is courtesy of the specially designed Advanced Shock Absorption System that is designed to provide protection. This is particularly true of the corners and sides. This case isn’t just about its rugged design as there’s a number of extra touches that users will appreciate. Precise cutouts mean the ports are fully accessible and buttons can be pressed easily, and without restriction. There’s also a hole for a lanyard that makes it possible to attach your phone to a wrist strap for added protection when necessary. Tough but understated protection, this phone case is the strong and silent type. Well priced within a budget price range, it’s a top pick for anyone who wants peace of mind. 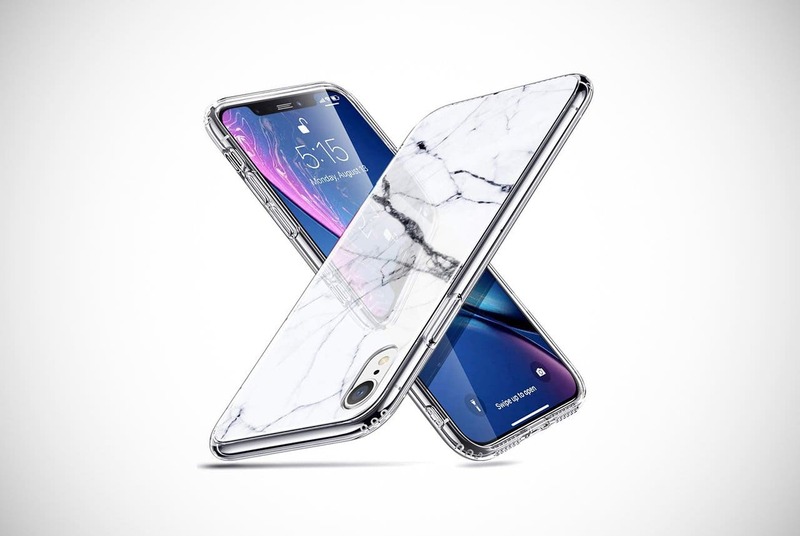 Another new name for the list, MoKo enters the ring with another transparent case that promises crystal clear vision to show off your iPhone XR. Boy, does it deliver to! These terrific iPhone XR cases are slim and lightweight but have a little extra junk in its trunk around the corners. As promised, the crystal clear design shows off your phone to maximum effect while still providing the essential protection for the glass back. This TPU and polycarbonate case combines a rigid back with soft and flexible corner bumpers, adding protection exactly where it’s needed. Overall, however, it’s slim and lightweight. Despite the extra coverage, you won’t feel like you’re carrying a brick in your pocket. Sensitivity over the buttons ensures reactive controls while the cutouts for the ports are precise and on point. 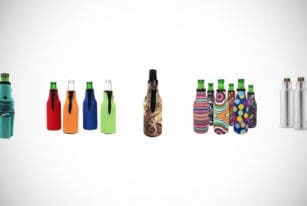 There’s a built-in hole for lanyard attachment, a thoughtful extra that helps to increase the protection. A budget price completes the top-notch package that is excellent for protecting your phone against scratches and low-level knocks. There’s only limited protection for higher impact drops. However, for this style of iPhone case, that’s not a big surprise. 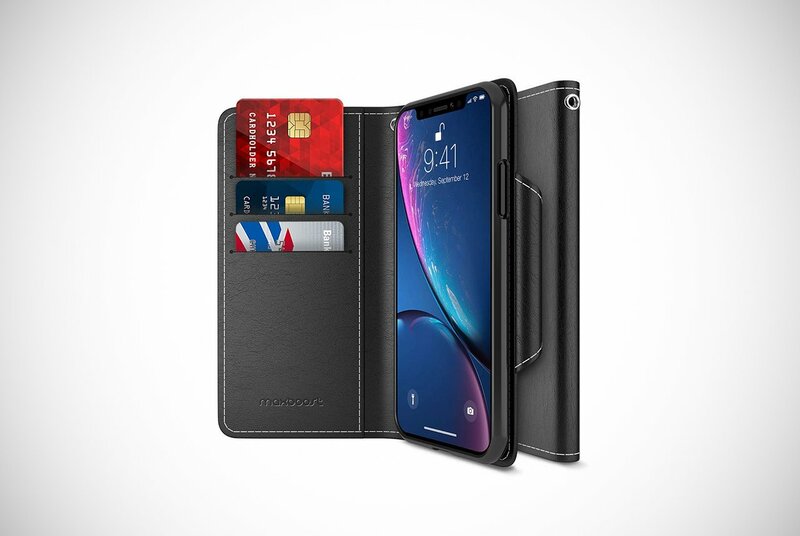 For the gentleman that wants to ooze style and class, there are few better iPhone XR cases than this stylish wallet from Case-Mate. One of the more expensive options in our list, it’s made from real black leather and is the very essence of charm and sophistication. A high-class device like the iPhone XR deserves the very best. With this Case-Mate, you’re certainly giving your cell a treat. Handcrafted from genuine black leather, this case is beautifully designed and the simplicity of the style emphasizes its quality. Flip open the case and you’ll find slots inside for three cards and cash. Plus, it comes with a landscape stand for hands-free streaming and use. Far more than just a case, this is a true must-have accessory for any man around town. The Unicorn is back with another beefed up design from the boffins over at Supcase. 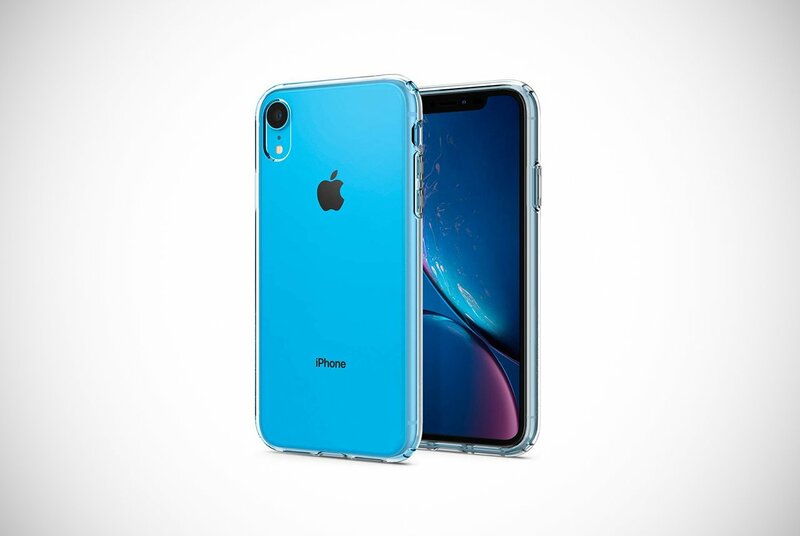 With multilayered protection and a range of clever accessories, these iPhone XR cases are worth lingering over. Made from multiple layers of TPU and polycarbonate, this case has been tested up to 20 feet. While it’s unlikely that you’re going to drop your phone from that height, it’s reassuring to know that it’s got that level of protection. As well as looking out for the glass back and corners, this case has got the front covered with its built-in screen protector. 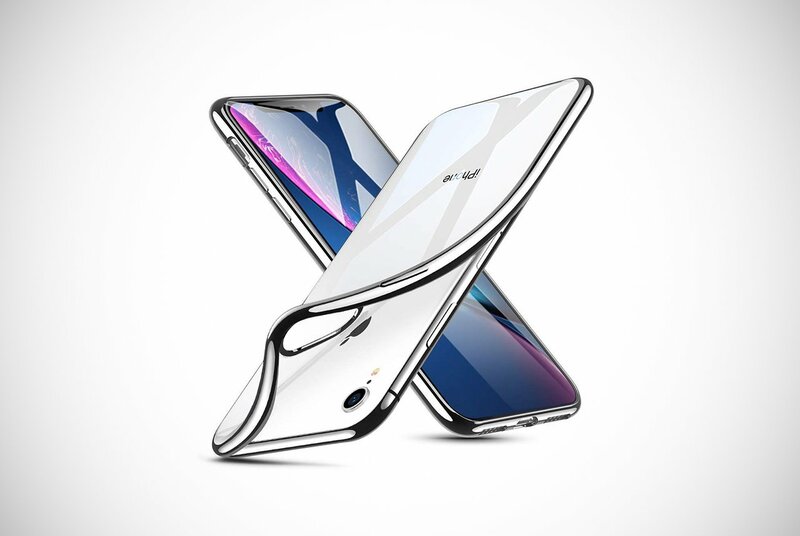 An all-around case for your XR, you won’t need anything else to enjoy the ultimate protection. If all of that wasn’t enough, Supcase has also thrown in a hands-free holster to allow the handset to easily clip onto your belt. Magic. If you want excellent protection but without carrying around a case that looks like it belongs in the military, the Presidio Pro from Speck is an option worth a look. On the outside, it appears like any silicone rubber case but its secret weapon is that it’s surprisingly tough and robust. Available in a wide range of seven different colors, the soft and flexible case is easy to slip around the iPhone. The strength comes from its dual composition, an inner layer of IMPACTIUM molded with an outer shell of polycarbonate. Fused together, these two layers combine to create a case that’s extremely strong and with the ability to absorb shocks well. The shock absorption works due to the qualities of the IMPACTIUM interior that features ridges which compress to disperse any impact. Tested up to 10 feet, it’s high enough for most mortal men. Though we may need to consider another case for Hagrid and possibly Yao Ming, we’re not sure. The case is also grippy so it’s not likely to slide out of your hand easily. Throw in raised bezels for superior screen protection and a scratch-resistant design and this case is a winner. If you like to keep everything organized and in one place, these handy iPhone XR cases by Maxboost could be just the thing for you. Incorporating not just a phone case and card slots but a separate cash pocket on the side, you won’t need anything else other than your keys to hit the town. Made from PU leather, this folio-style case has a charm and elegance that’s unmissable. With its multi-functional design, it’s bulkier than the majority of other cases. If you don’t mind a bit of extra weight, this phone case makes it well worth your while with a beautiful design that thinks of everything. With an incorporated kickstand for hands-free use, three card slots, a separate cash pocket, and a magnetic fastening, this case is packed full of features. Precision cutouts mean you retain full access to all the ports and buttons without the hassle of having to take the case off again. Phew! Yes, that’s right – we liked ESR so much we couldn’t decide on which one was their best case, so here’s another! This design is instantly striking with a marble effect that sets it apart from the rest of the pack. 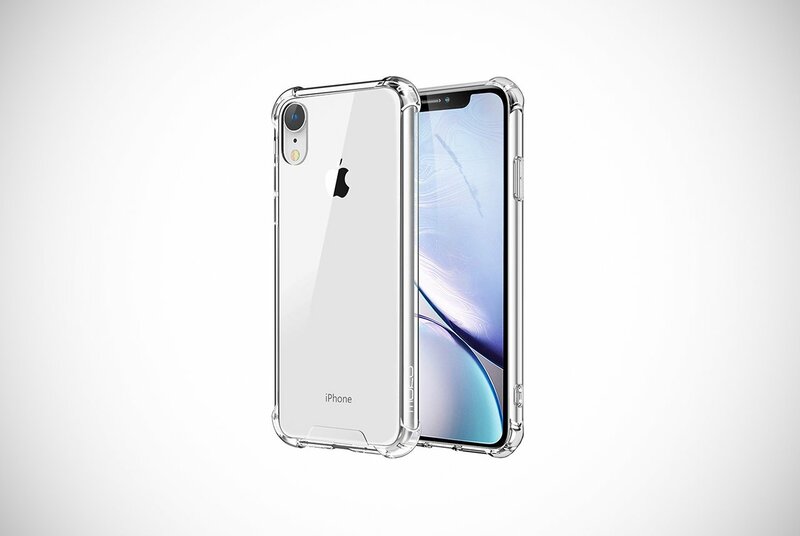 These iPhone XR cases are a hybrid with a soft TPU frame and a tough tempered glass back, giving the best of both worlds. This mimics the iPhone’s own glass back but adds in scratch resistance and a tougher composition. This case doesn’t offer maximum impact resistance when dropped from great heights compared to certain other cases. However, it performs pretty well for this style. It offers good shock resistance and reinforced corners that help to cushion any blow. Raised edges around the camera lens and screen mean there’s less chance of abrasions and scrapes, providing protection while on flat surfaces. Another top-performing brand, Spigen is back with a third entry in our list. This time it’s with a rugged style case that makes no apologies for its toughness. 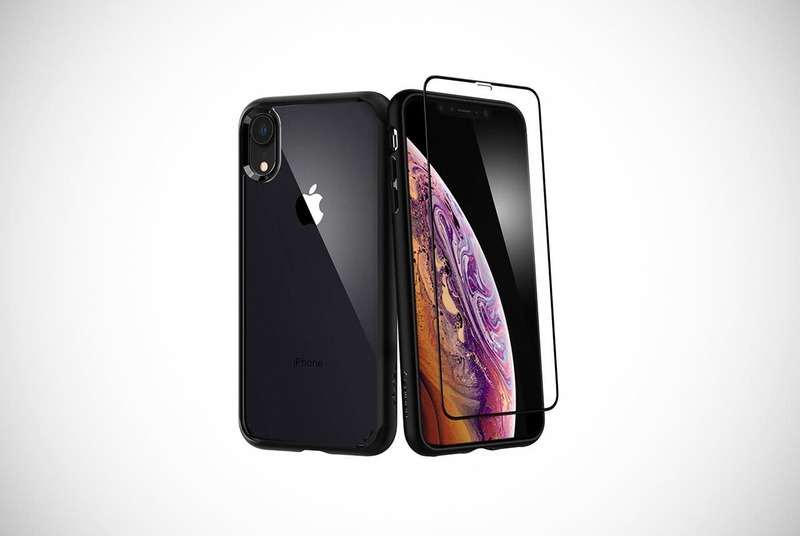 Matte black and uncompromising, these iPhone XR cases are very masculine-looking and offer protection that is hard to replicate. 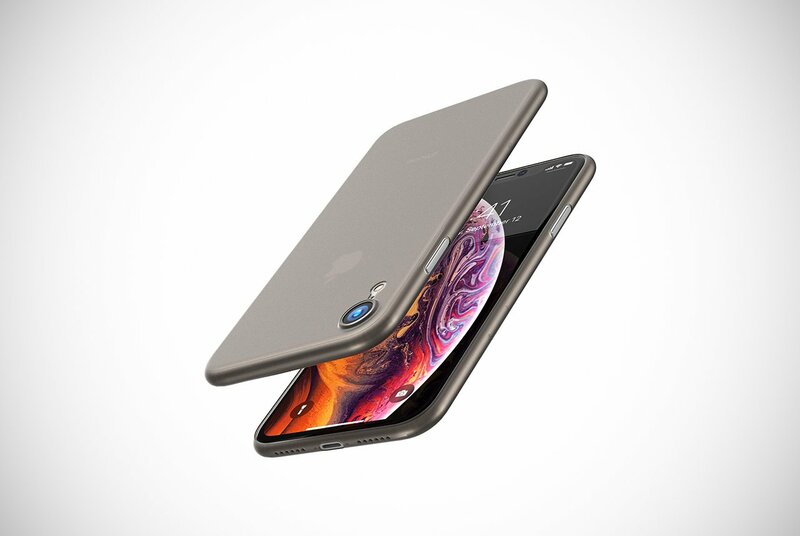 Made from flexible TPU, the case includes Air Cushion Technology® to maximize shock absorption while a raised edge provides extra protection to the screen. The tactile buttons are easy to press while the precision design offers unrestricted access to the ports. 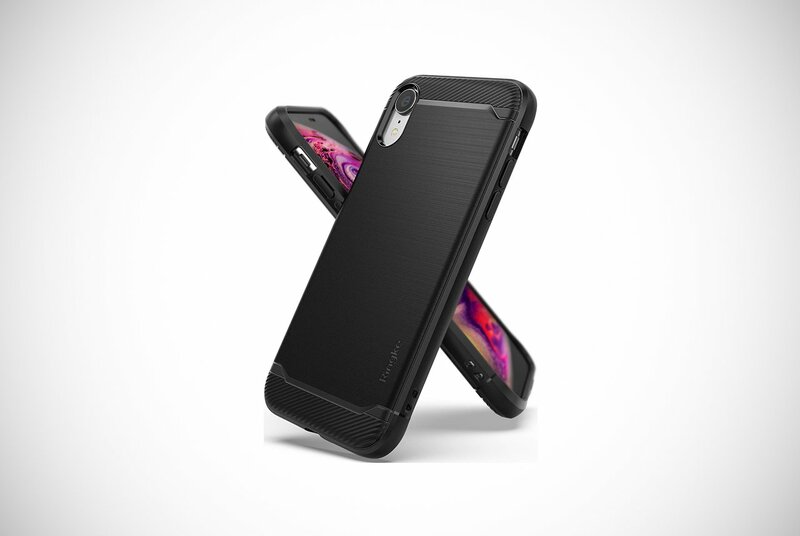 Ergonomically designed and surprisingly slimline despite its tough looks, this case is all the armor your iPhone needs to feel protected. 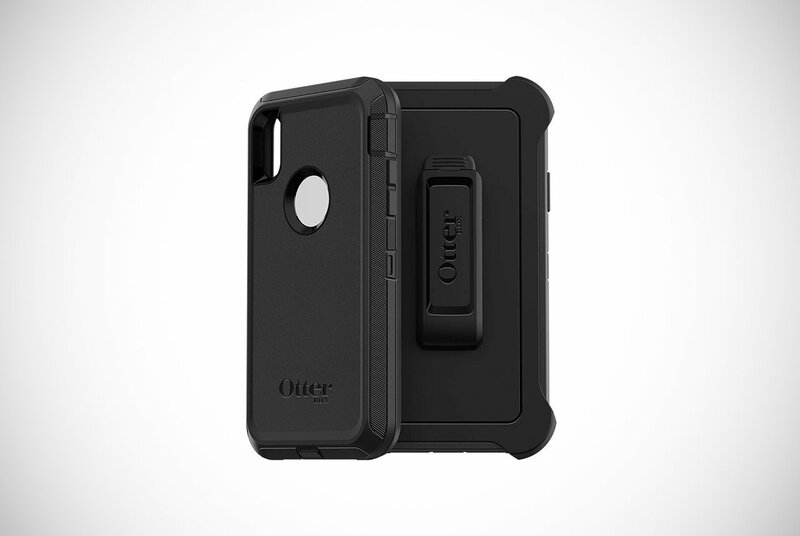 These iPhone XR cases by Otterbox are for those who appreciate a little luxury in their life. 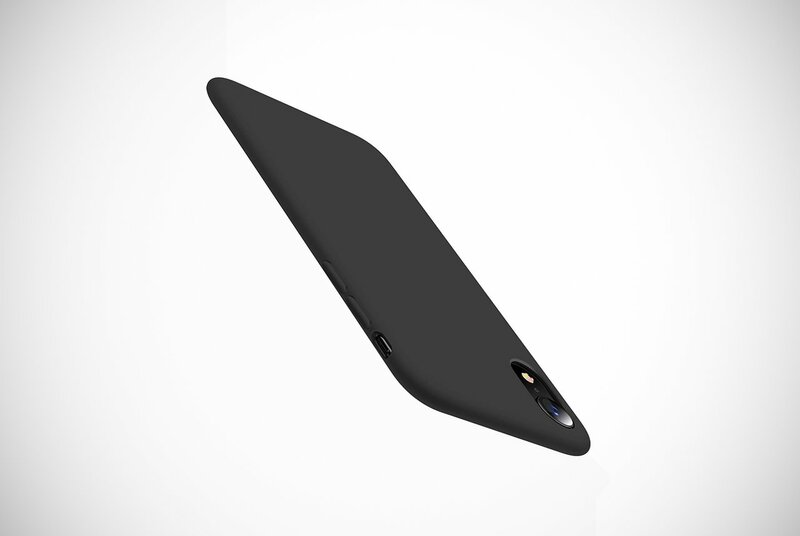 As well as those who simply want a massively strong case to protect their iPhone. 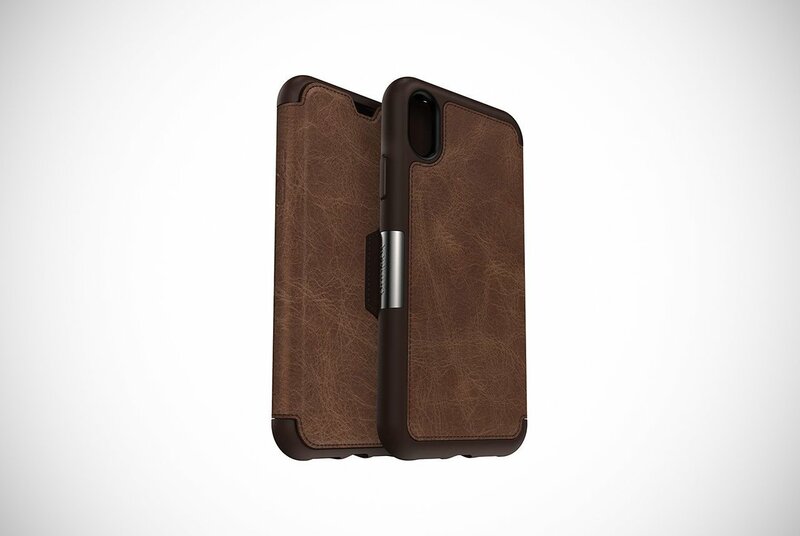 This real leather case is very stylish and available in either dark brown or worn brown. The premium leather exterior expertly cradles your phone with extra protection from reinforced edges and corners. A slimline profile combines with a cardholder and cash slots on the inside to make this the ultimate accessory for the man about town. Easy to slip into your pocket without weighing you down, this case is butter-soft to the touch and features a magnetic clasp for added security. Effortlessly elegant, slide this case onto the table and you’re sure to impress without lifting a finger! That’s all folks, a round-up of the 20 best iPhone XR cases on market today. From barely-there transparent designs to tough, rugged cases that announce their presence, there’s a real mixed bag here. We think there’s something for everyone, no matter what your preferred style. 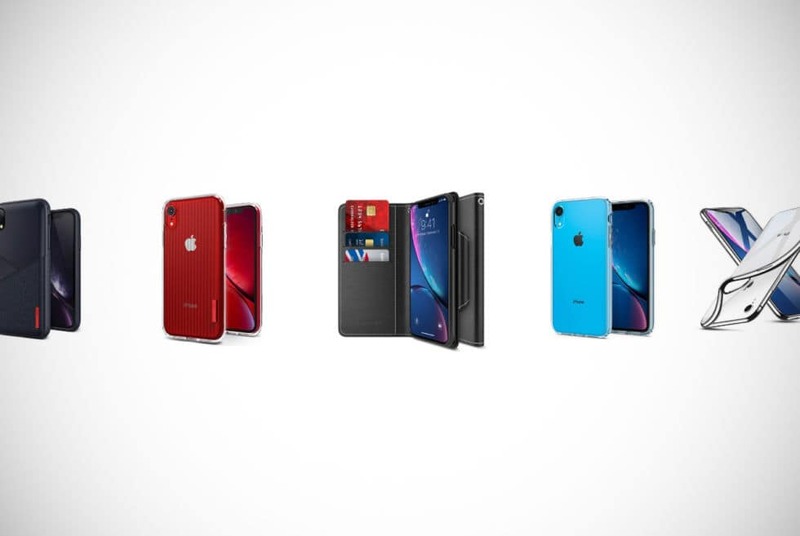 Whatever you pick, make sure you don’t hang around in ordering a phone case for your iPhone XR. We all know bro, it only takes one clumsy moment and you’ll be staring at the all too familiar crack. We care at Men’s Gear, so don’t say we didn’t warn you! 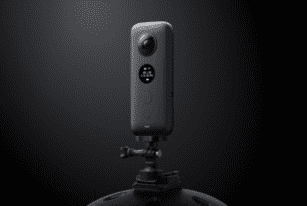 The Insta360 One X is an action camera that acts like a drone or even recreate Hollywood-style effects only possible with big budgets.